In a medium saucepan, bring milk to a gentle boil; stir in oats. Add butter (and salt if desired). As soon as it begins to boil again, reduce the heat to medium and cook for the amount of time directed on the oatmeal package (usually about 5 minutes). Stir often. 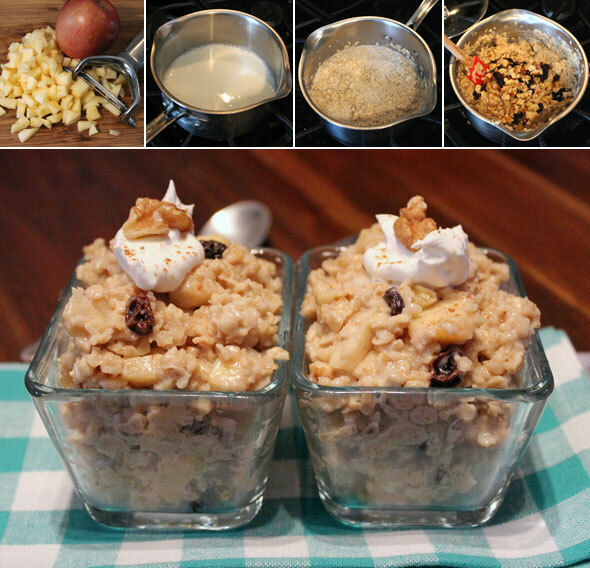 Remove from heat and add maple syrup, raisins, walnuts, and apple. Mix well. Cover and let sit for 3 minutes. 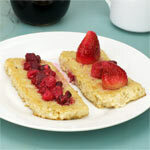 Serve with additional maple syrup, a little milk and sprinkle with brown sugar. 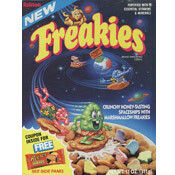 This is like the deluxe version of the maple and brown sugar instant oatmeal that comes in those little packets. I try to serve oatmeal once a week. It's Heart Smart! 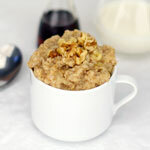 What do you think of Maple Walnut Oatmeal? 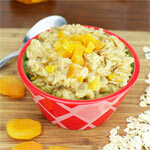 This is a great oatmeal recipe! My daughter even eats the extra portions cold!! 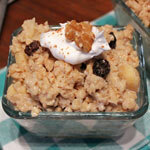 We have tried this recipe and would recommend the use of dried cranberries instead of the raisins!! TOO delicious for words!! !